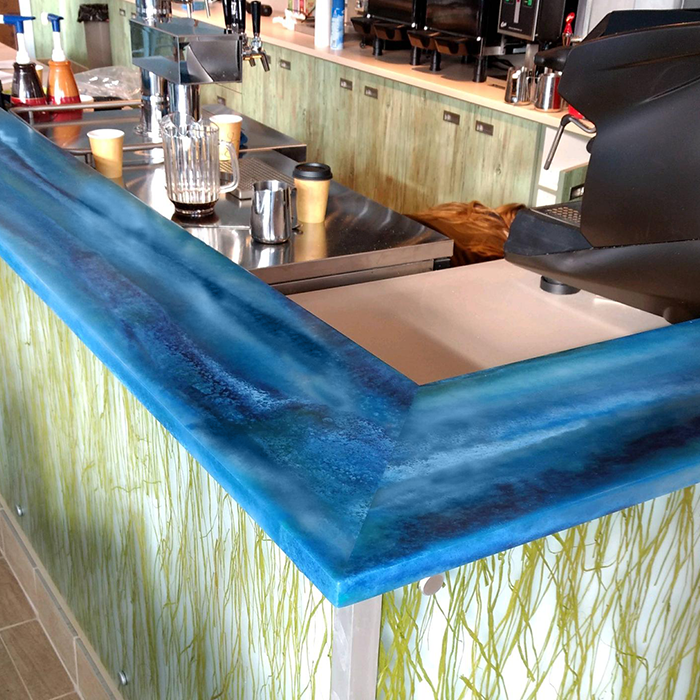 Spectrum Surfaces is a countertop fabrication business located in beautiful Bellingham, Washington. 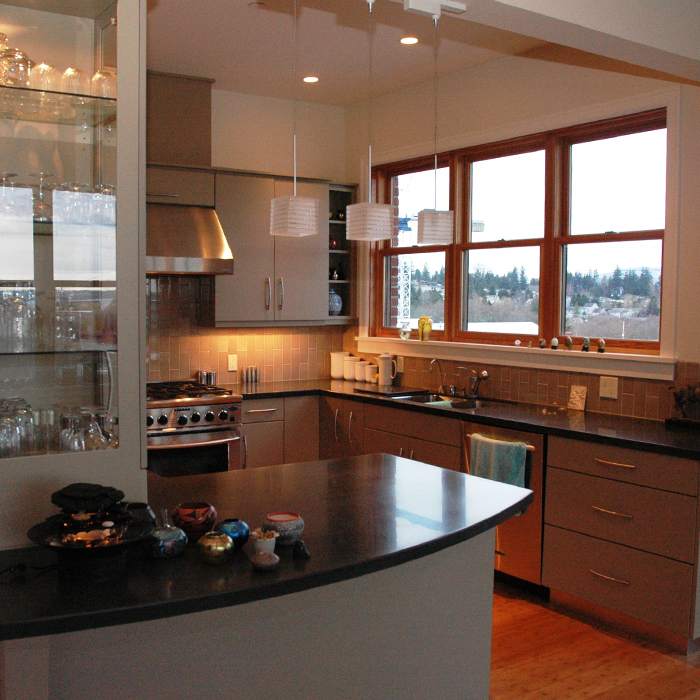 For more than 30 years Spectrum Surfaces has been a family owned and operated countertop shop in Whatcom County. With meager beginnings in our home garage, we have moved to larger facilities over time. 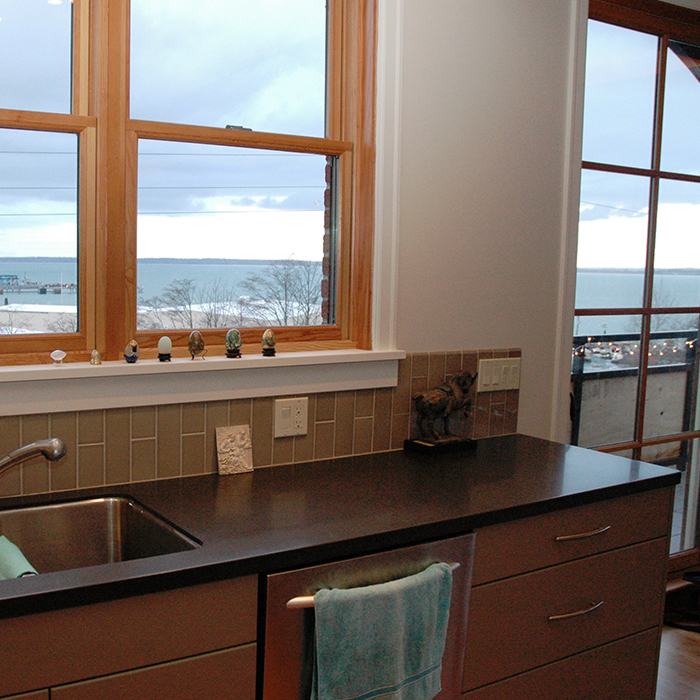 Beginning in Blaine, then Ferndale, we have been located in Bellingham for the past 15 plus years. 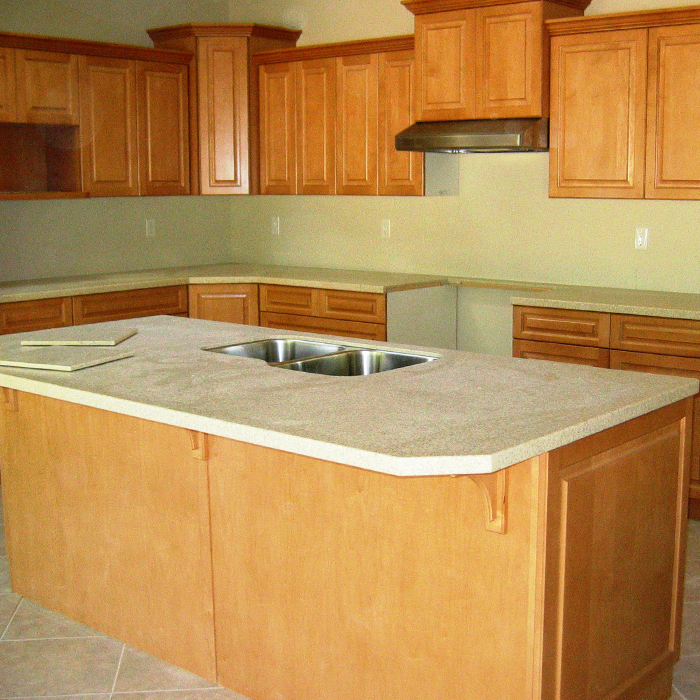 “Our business is TOPS“ We take pride in our workmanship and devote ourselves to produce only top quality in our fabrication and installation of Acrylic Solid Surface or Quartz kitchen countertops, bathroom vanity counter tops & solid surface shower surrounds, as well as making scheduling a top priority. 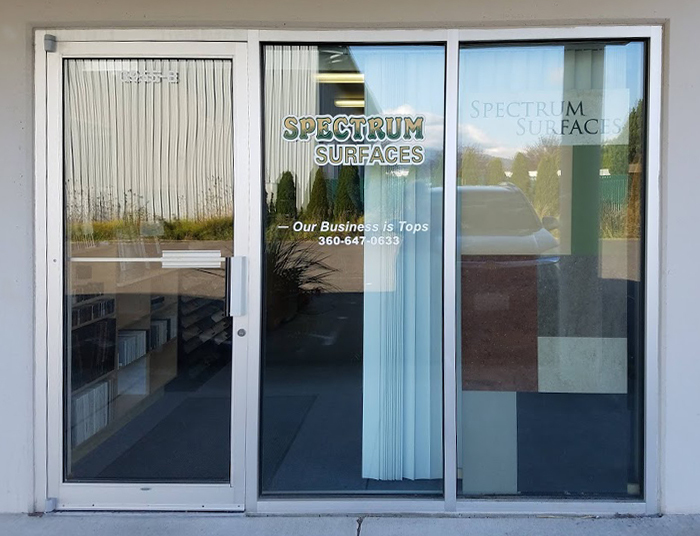 We at Spectrum Surfaces are one of a few Acrylic Solid Surface Fabrication shops north of Seattle. Please, give us a call today! 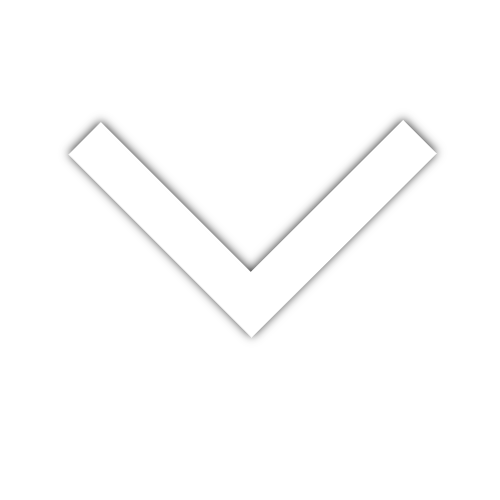 We supply the product you choose. 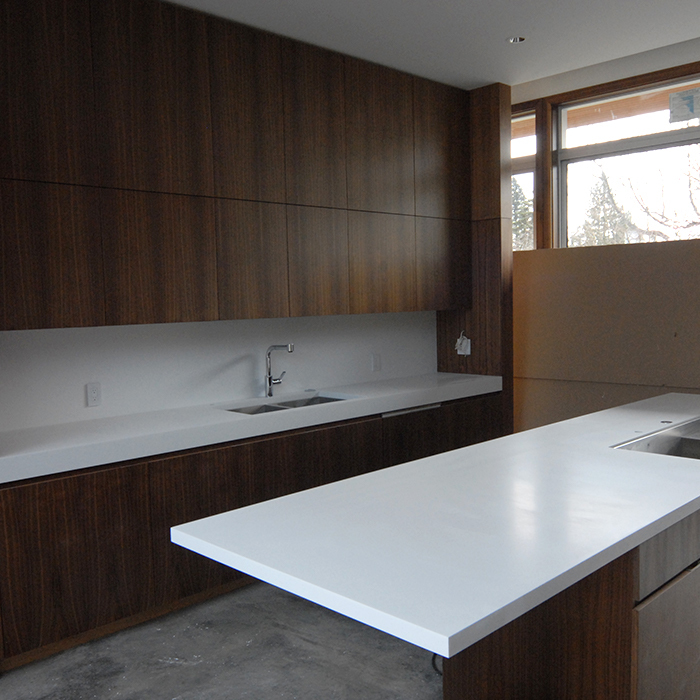 Our services include templating, fabrication and installation. 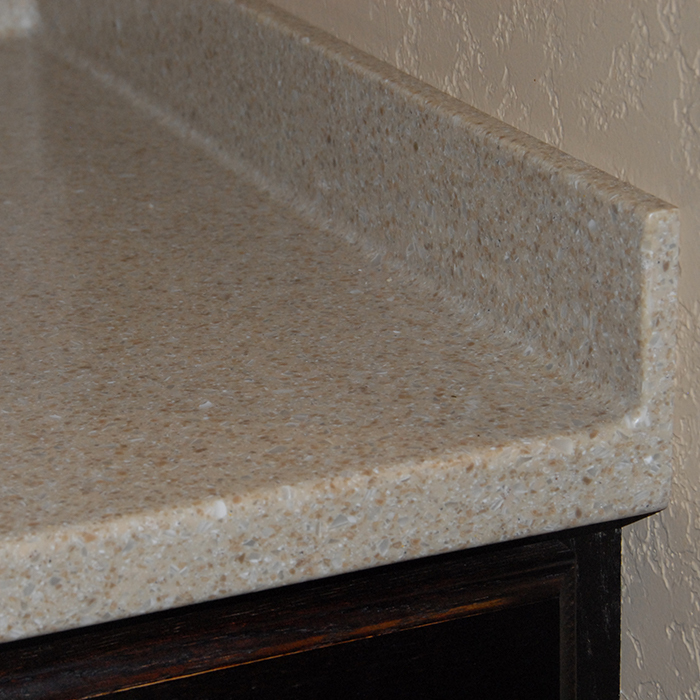 Whether you need new counter tops for new construction, a renovation, commercial projects or residential retail we have you covered! 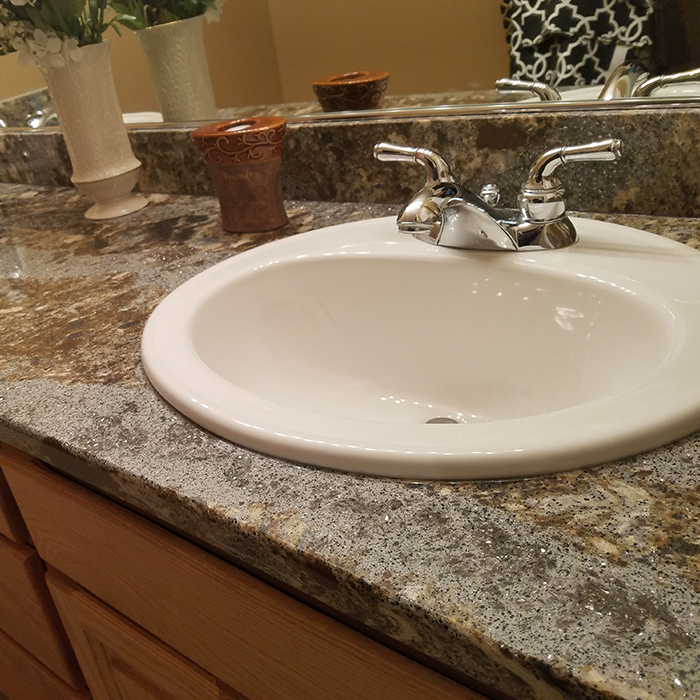 For our residential customers especially, we realize it is an honor to be invited into your home to assist you in creating the perfect counter top for your project, and respect the trust you have placed in us to enter your personal space. Thank you! We service Whatcom County and beyond. Give us a call! 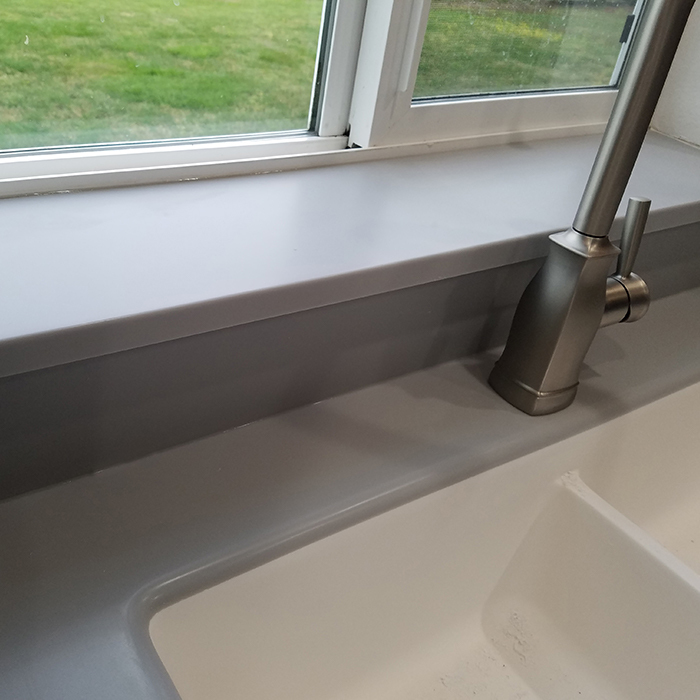 Whether it is RESIDENTIAL or COMMERCIAL counter tops that you need, Spectrum Surfaces is here to help you create your project with friendly, personalized service! 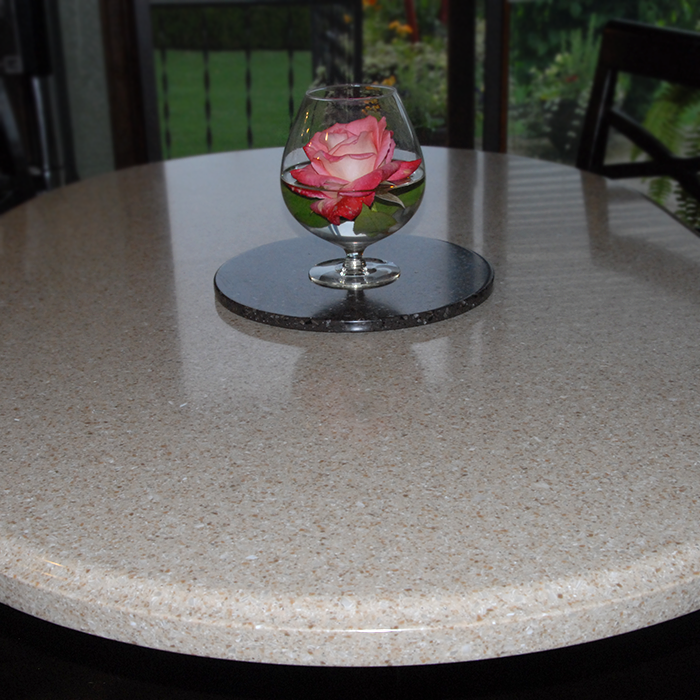 We carry the top name brands of Acrylic Solid Surface and Quartz. 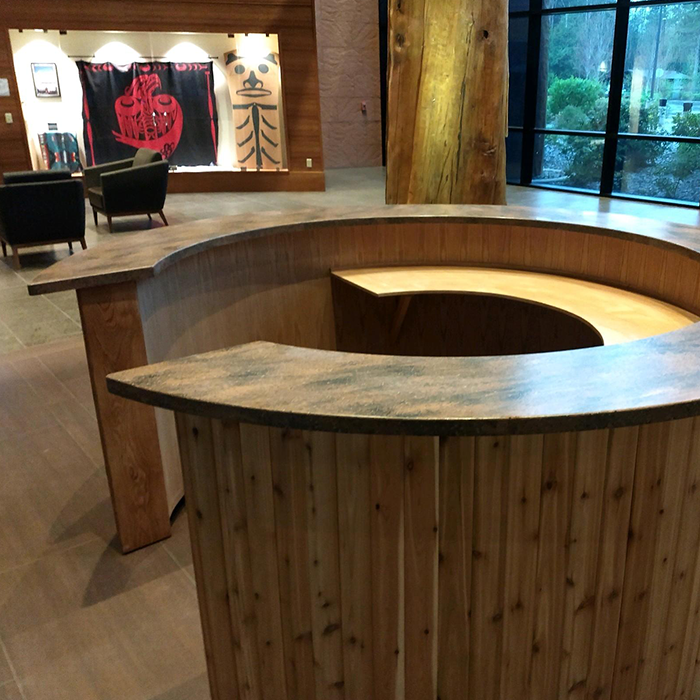 Our showroom and fabrication shop is located in the Irongate District of Bellingham, just off Hammer Drive. 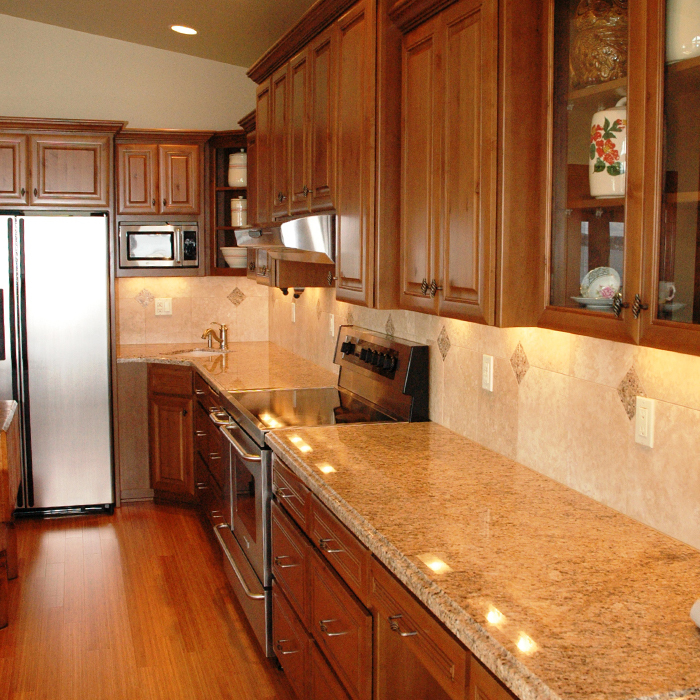 Over 75% of our business is remodeling. 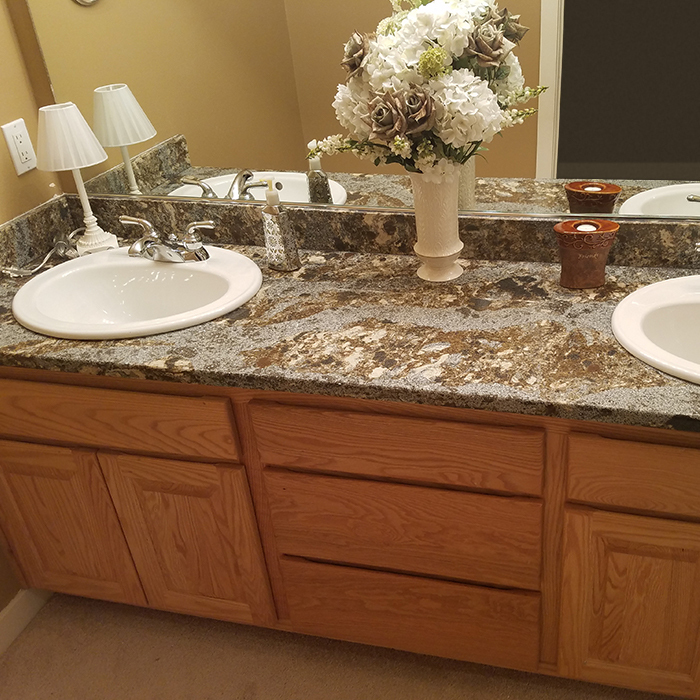 We understand the stress of remodeling your home, and make our best effort to provide you with your new countertops while minimizing the disruption in your home. 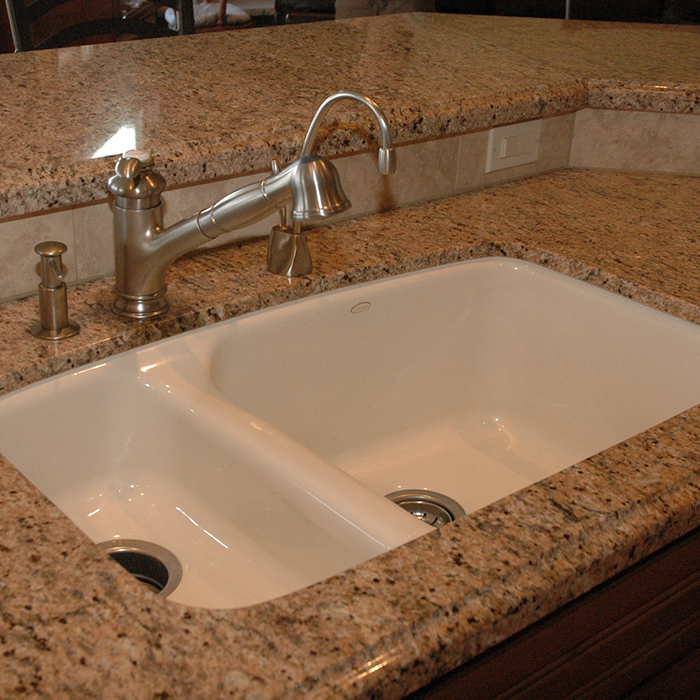 We can remove your old countertops for you, and although we do not provide plumbing services, we can coordinate your plumbing needs to get your kitchen up and running as soon as possible. We have established good relationships with various trades, and would be happy to give you a recommendation for any other work that you are looking to have done. 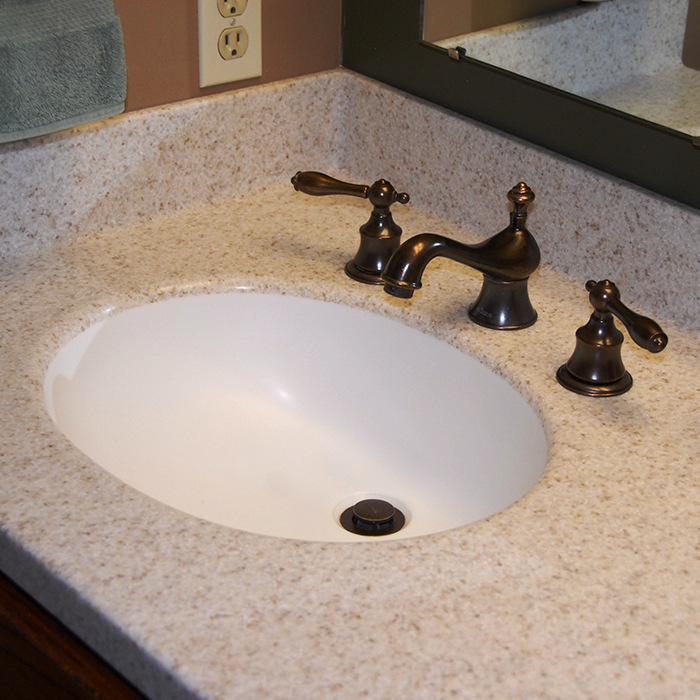 Solid Surface materials are an excellent choice for bathrooms. Its seamless nature leaves fewer spaces for mold and mildew to multiply, and it is extremely easy to keep clean. 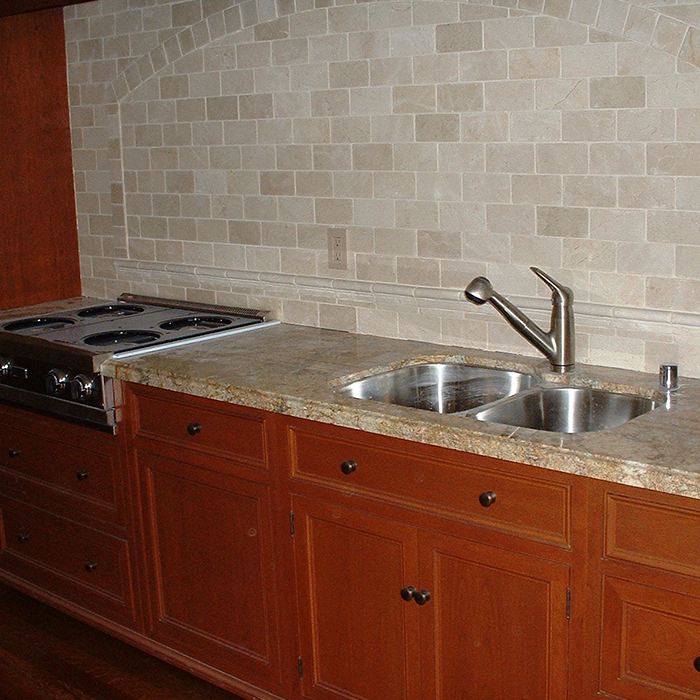 In addition to walls, we also offer custom solid surface shower pans, shower shelves, and seats. 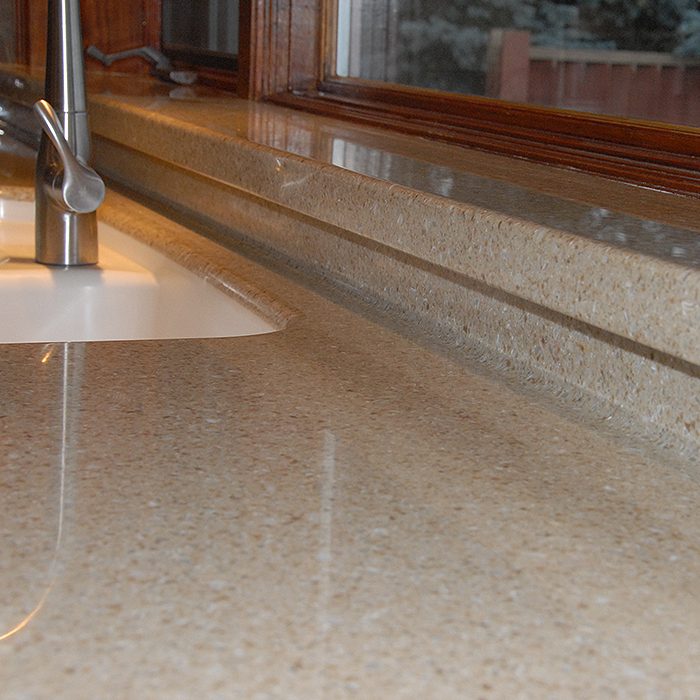 If you are building a new house, what better way to make it your own than custom countertops. 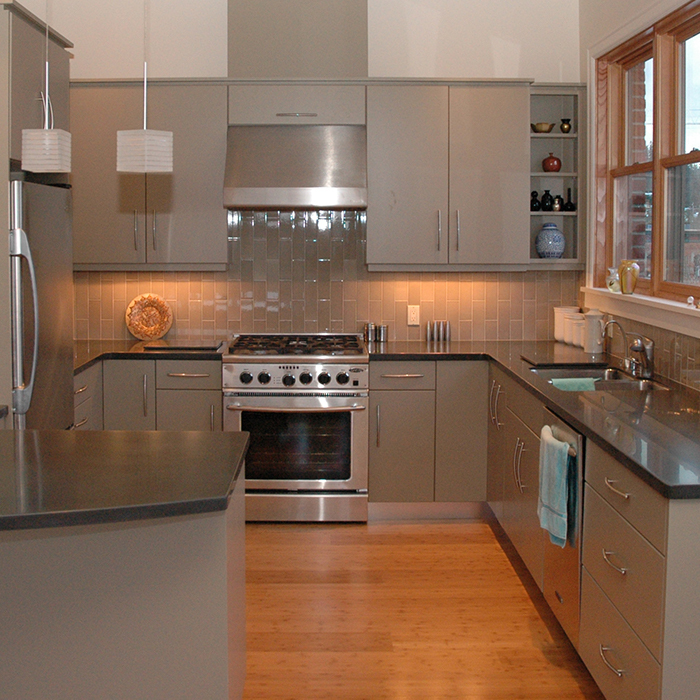 We can work with your architect or designer to choose a product that will suit your home perfectly. We also understand the changing timelines of new construction and will work with you and/or your builder to make the install go as smoothly as possible. 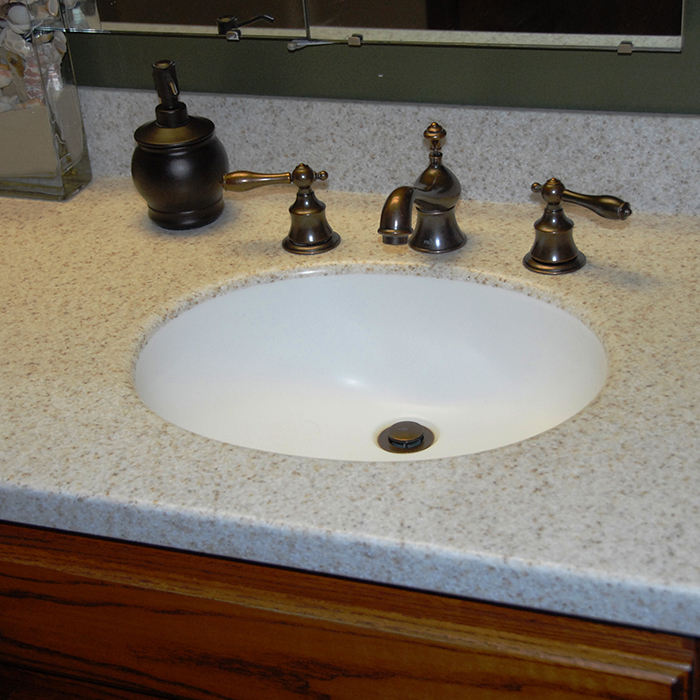 After time, your solid surface tops can start to look a little old. 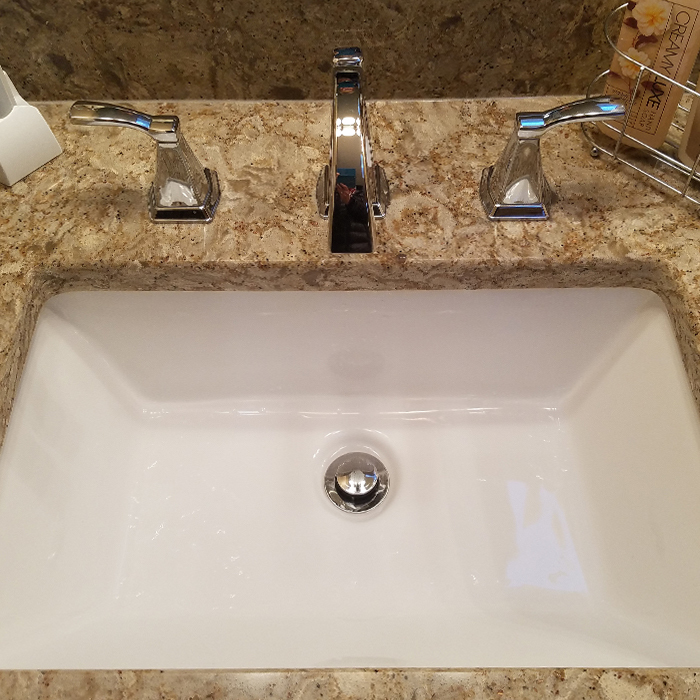 With a little elbow grease, they can be made to look like new! 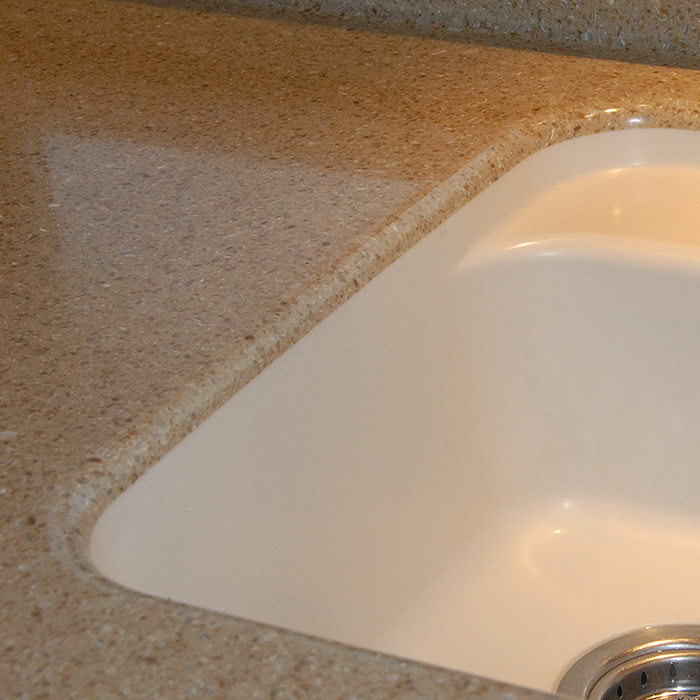 We have specialized equipment to refresh your countertops with minimal mess. 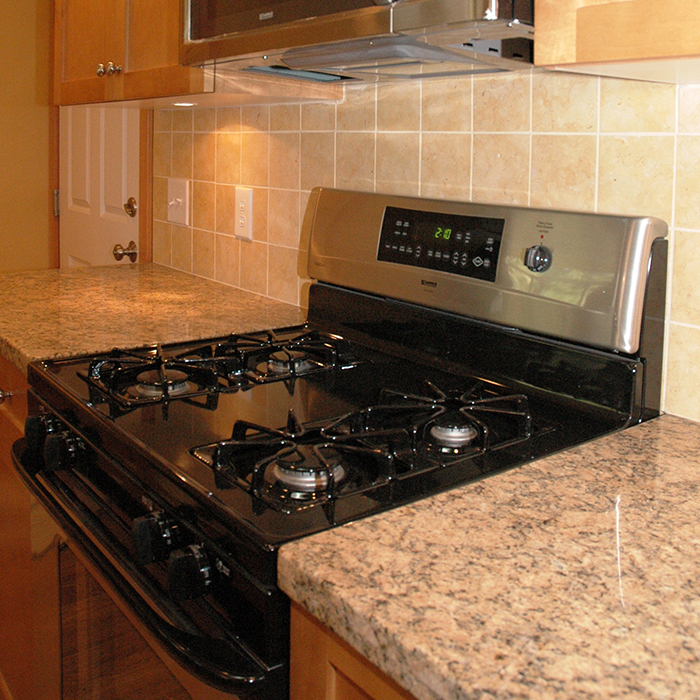 If your old counters are looking dingy and dull, we can help. 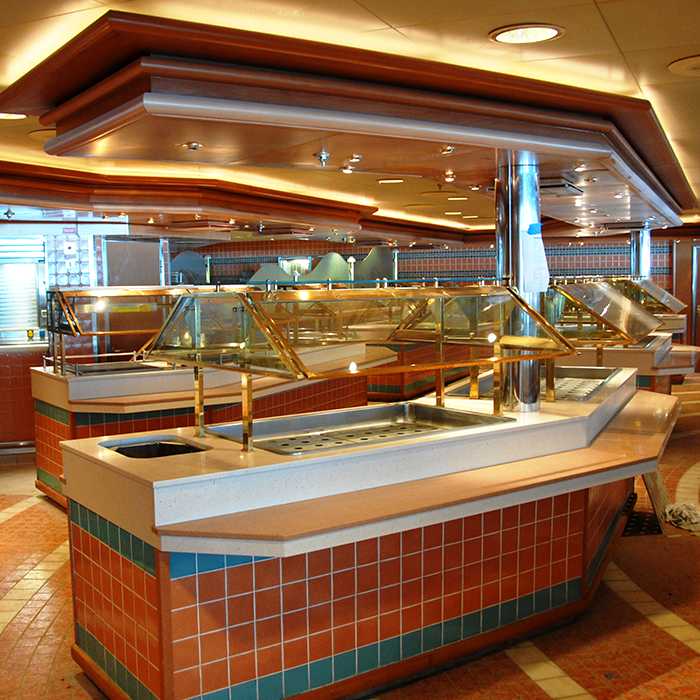 We have extensive experience with a variety of commercial applications. From banks, to restaurants, to hotels, we have done it all. We understand the many details and challenges of commercial work, and we will work with you to see your project to completion. Getting Started – The best way for us to provide an accurate quote is with blueprints or CAD drawings. Send us over a copy and we can provide an accurate quote. 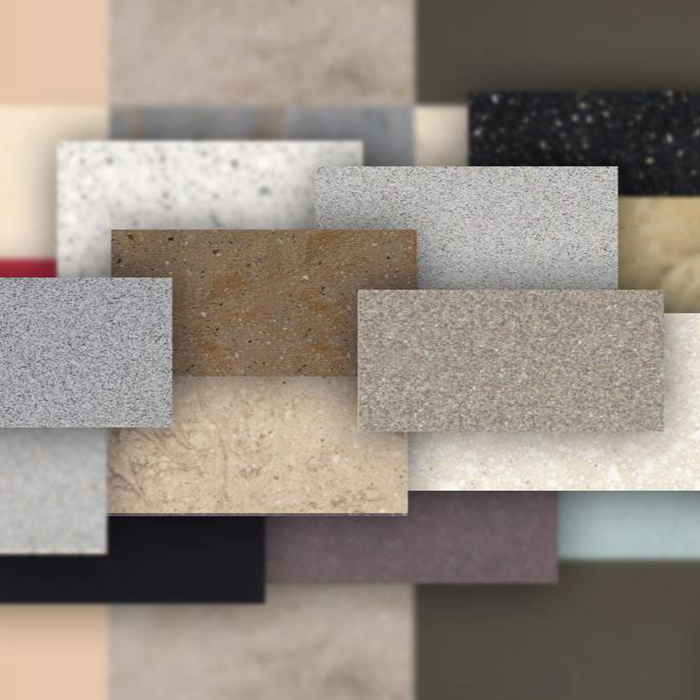 Extensive Product Offerings – We offer Acrylic and Polyester Solid Surfaces, Granite, Engineered Stone, and variety of Environmentally conscious surfaces. 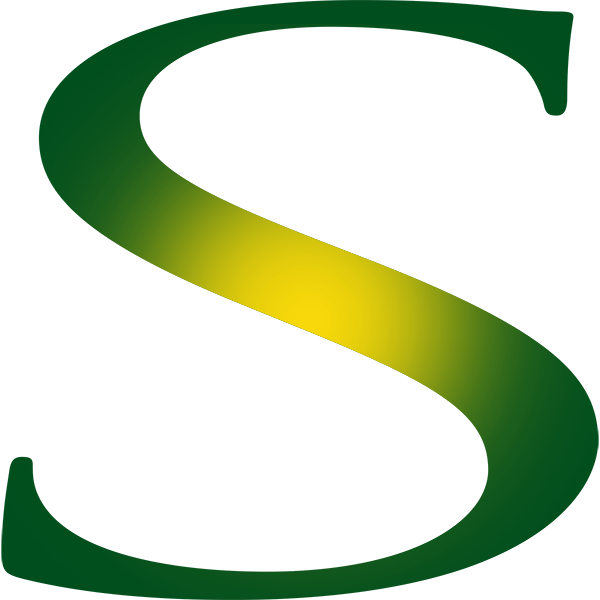 If your architect or designer has specified a specific product and/or color, just let us know and we will include those specifics with your bid. 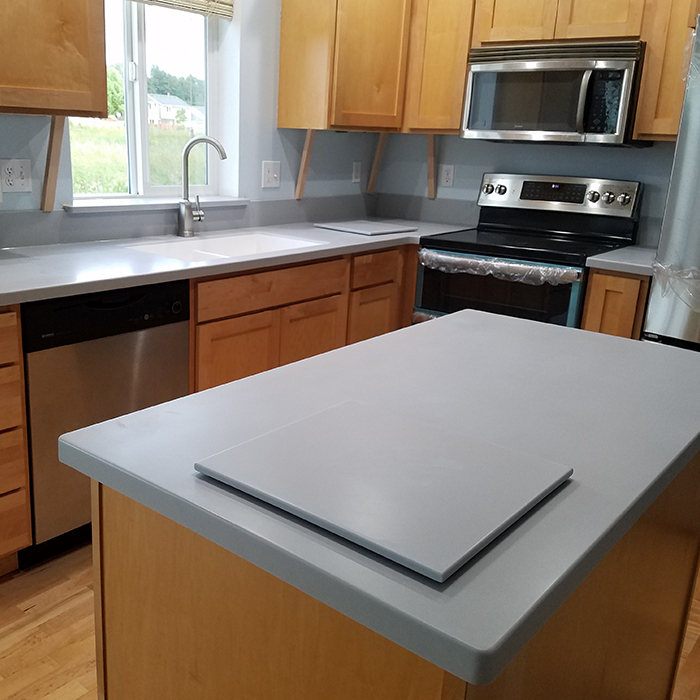 Un-Installed Countertops – Occasionally our customers require countertops that will be shipped to various parts of the country. 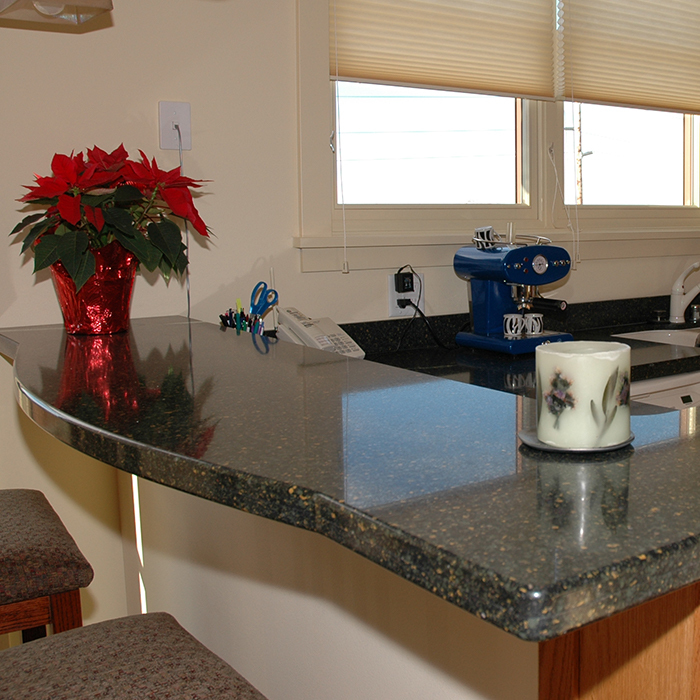 We can build countertops to order, either from physical templates or CAD files, and have your counters fabricated and ready to go. Below is a sampling of some of the amazing brands and organizations we’ve had the privilege to work with. 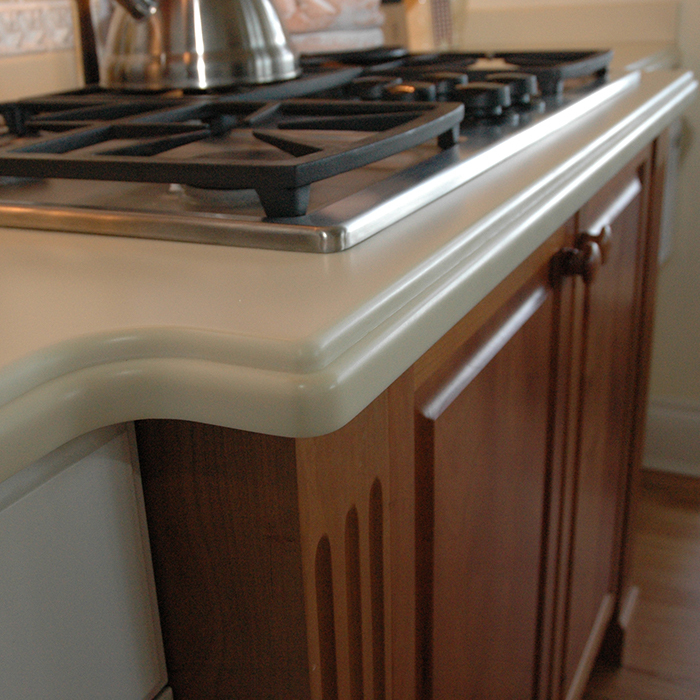 Spectrum Surfaces carries the top name brands of ACRYLIC SOLID SURFACE AND QUARTZ COUNTERTOPS. 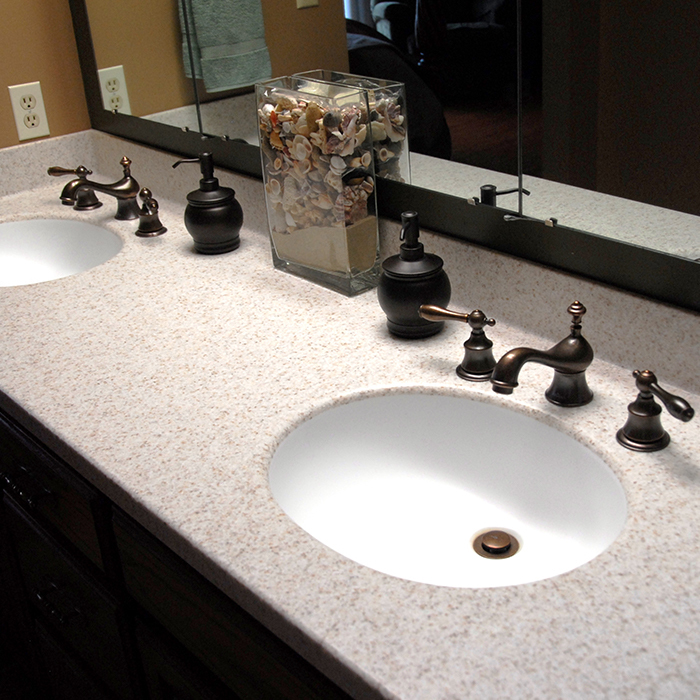 We have product samples in our showroom of the majority of ACRYLIC SOLID SURFACE AND QUARTZ BRANDS. 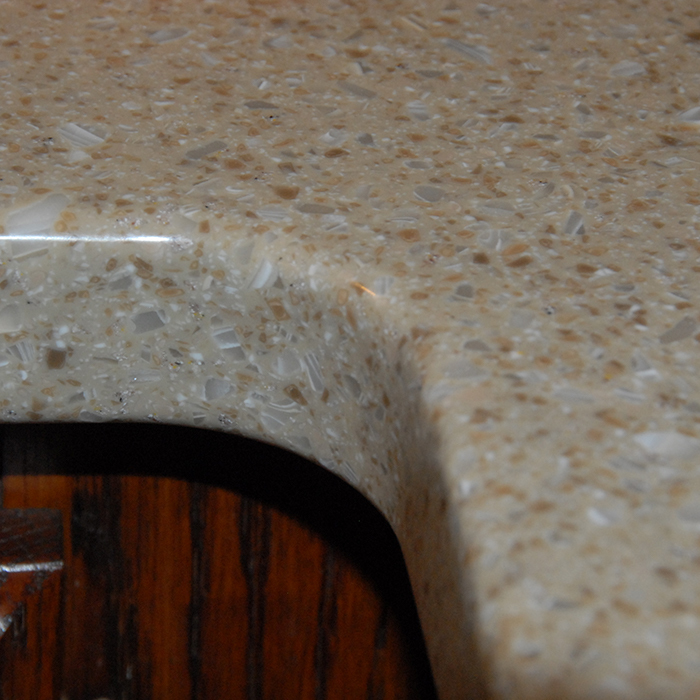 It is important to be able to see an actual sample to ensure the color is right for your counter top!